Beijing's plans for tariffs on $60 billion of U.S. goods includes an additional 5 percent duty on about 1,600 kinds of U.S. products. China announced it will take retaliatory tariff action against $60 billion of U.S. goods, sharply escalating their trade conflict as the Trump administration considers imposing duties on almost all Chinese imports. At almost the same time Beijing released its list of counter-tariff targets, President Donald Trump on Tuesday threatened more punitive measures against China if it targets politically potent U.S. agricultural products for retaliation. In an announcement on Monday, Trump ordered his administration to levy 10 percent tariffs on about $200 billion in Chinese goods on Sept. 24 and to increase the rate in January to 25 percent if Beijing refuses to offer trade concessions. The latest round of duties comes on top of a 25 percent tariff already imposed on about $50 billion in Chinese goods, which triggered retaliation from Beijing on the same amount of U.S. imports. Beijing’s plans for tariffs on $60 billion of U.S. goods includes an additional 5 percent duty on about 1,600 kinds of U.S. products including smaller aircraft, computers and textiles and an extra 10 percent on more than 3,500 items including chemicals, meat, wheat, wine and LNG. In a previous announcement from August, those products had faced extra tariffs of up to 25 percent. Trump on Monday said that the U.S. will immediately pursue additional tariffs on about $267 billion of Chinese imports if Beijing strikes back against American farmers and industry.The third batch of tariffs, together with the previous rounds, would more than cover all products the U.S. imports from China, which were worth about $505 billion last year. The Trump administration’s duties on $200 billion spared smartwatches and Bluetooth devices, bicycle helmets, high chairs, children’s car seats and playpens. They were among 300 tariffs lines that were removed from a preliminary list of targets for U.S. duties. The auto industry voiced its concerns about the U.S. tariffs. “Applying an additional $200 billion in tariffs on China’s exports to the United States will further harm the U.S. auto industry and American workers and consumers,” said John Bozzella, president of the Association of Global Automakers, in a statement. The tariffs “will serve as a tax increase on the American public and consumers by increasing the costs of a new car or truck and of maintaining the hundreds of millions of vehicles currently on the roads,” the Motor and Equipment Manufacturers Association said in a statement. “ It urged the administration to protect intellectual property in more effective and targeted means rather than broadly applied tariffs. The Trump administration tailored its final list of Chinese targets to help ensure American consumers don’t feel the pinch, Commerce Secretary Wilbur Ross said on Tuesday. “We were trying to do things that were least intrusive on the consumer," Ross said on CNBC. “We really went item-by-item trying to figure out what would accomplish the punitive purpose on China and yet with the least disruption in the U.S."
“Mounting U.S. pressure on China is unlikely to result in concessions from Beijing. The further blows on trade come at a time when the Chinese economy is already slowing. 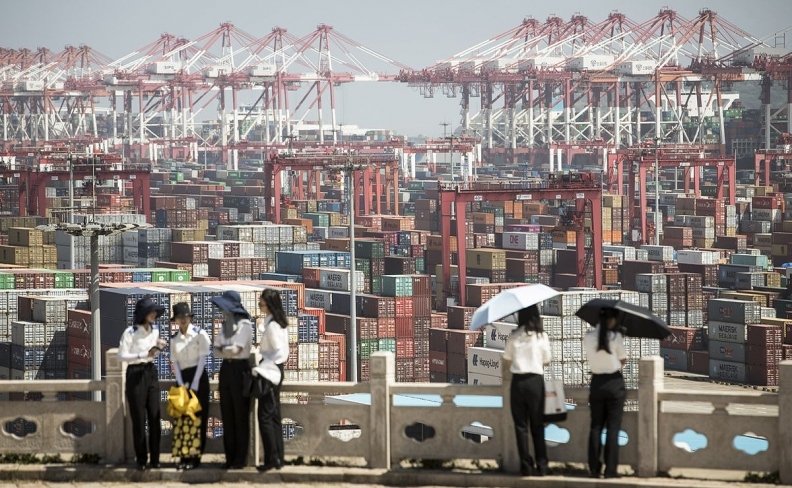 A prolonged trade war could deepen the drag on growth -- with larger implications for Asia’s supply chains.” said Chang Shu of Bloomberg Economics. Trump continues to ratchet up pressure on Beijing to change its trade practices. Business leaders are warning the high-stakes strategy could upend their supply chains and raise costs, as economists worry Trump’s tactics could derail the broadest global upswing in years. China will reject new trade talks if Trump moves ahead with the $200 billion round of duties, throwing into doubt the prospect of a diplomatic breakthrough, two people familiar with the matter said this week. The administration earlier this month floated the idea of talks led by Mnuchin, with Chinese Vice Premier Liu He expected to lead the Beijing delegation.